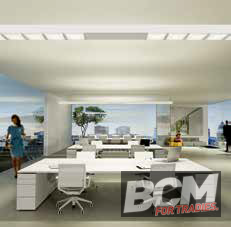 The innovative tunable white luminaire range for offices and public buildings. Efficient lighting within office buildings is imperative because it supports a human’s natural biological rhythm – helping to promote overall wellbeing and concentration levels. To support and illuminate modern office environments, Gerard Lighting has launched the Siteco Scriptus. It represents innovative technology, state-of-the-art design, outstanding efficiency and quality of light – setting new standards for today’s office lighting. The core of Scriptus is the newly developed dual-level optic system consisting of a primary lens cluster, mixing chamber and micro-lens array. This provides a high uniformity of luminance and results in best contrast rendering and glare control. The lighting technology is an inherent part of the luminaire design and simultaneously ensures optimum glare reduction and high visual comfort. With a UGR of maximum 16, the luminaire complies with all criteria for the illumination of DSE (Display Screen Equipment) workstations. Furthermore, Scriptus is designed for both surface-mounting and suspending with various lengths and lumen packages available. The suspended version features separately controllable direct and indirect light components to provide high flexibility for personal settings. “Siteco Scriptus is an addition to our tunable white range, which we’re promoting as part of a Human Centric Lighting solution. 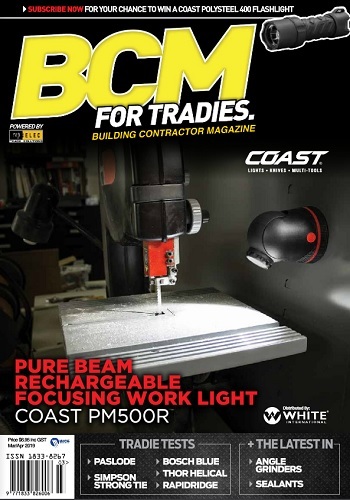 It’s not only functional but also provides design inspiration for architects and specifiers,” said David Blackley, Commercial and Health Solutions Segment Manager, Gerard Lighting. Equipped as standard with a DALI control unit, Scriptus is also available on request with integrated daylight and presence sensors.